Time for another Festive Friday Challenge! Just like the last challenge, I reached for some acetate, this time to make a shaker card. Laura makes it look so easy, but of course I tried it from memory rather than watching the video again, and missed the order of a couple of crucial steps. Oh well, in the end I got there! 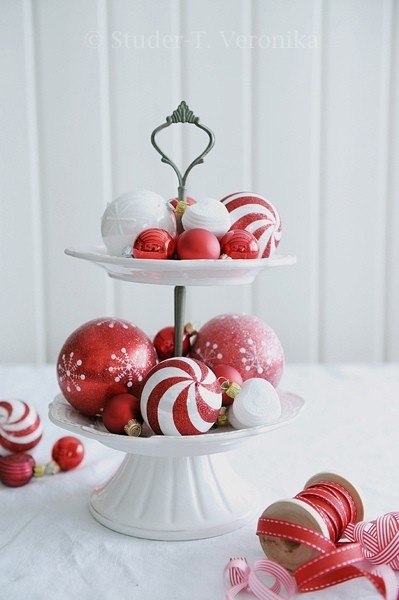 I focused on the shiny red of the ornaments, the dull metal of the stand and added silver and gold sequins for some fun! Now it's your turn - don't forget the deadline is Feburary 26th! We can't wait to see what you come up with. A very festive shaker card! Very beautiful shaker card, Ardyth! Gorgeous shaker card, Ardyth! I love how you paired the red mirrored cardstock with all that pretty gold for your design...it's so elegant! Shiny red with a gold snowflake and sequins. What's not to like? Your shaker is lovely! I've never made one, but you've sparked the desire. Pretty, plus! How I wish that I could see through your eyes for even just a day!!! The inspiration that you took from the photo and put to paper is amazing! 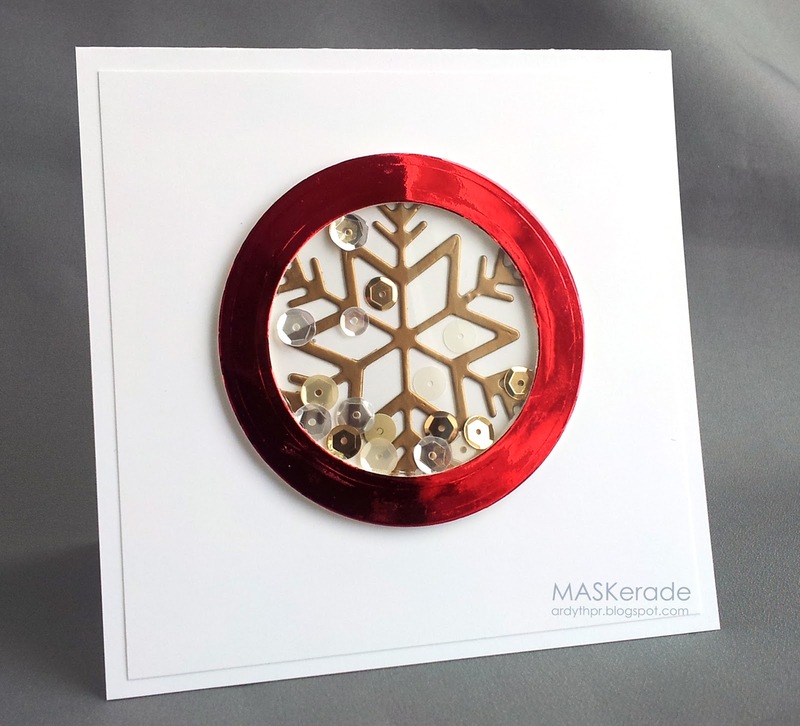 The red foil paper is so festive & the color of the snowflake is perfect with the darker gold/brass colored sequins! So fun and festive. Shaker, sequins, shiny paper--all the elements any one would need. Love, love this shiny red shaker box! Gorgeous with the stunning gold snowflake tucked inside with the bits of sequins! I have yet to make a shaker card, but if I do, this is what I want it to look like!! You are rocking' the foil paper these days! Love this window shaker card, a perfect take on the inspiration photo! Absolutely stunning! Oh my gosh one of the most beautiful shakers I have seen. I am going to check out that video. Thanks for the link. Love this Ardyth!